That’s no easy feat for a recovering agoraphobic. It was only for a cleaning, so it was relatively low on my panic scale. Thankfully, I’ve learned a few tricks over the years to get me there and keep me in the chair. The young woman hesitated, and was silent for a moment. Her pause gave me pause. Was I asking too much? Should I have just queried her with that obligatory, “How are you doing?” – the question that everyone always answers with, “I’m fine. How are you?” Maybe I was being too specific, too inquisitive by narrowing the question to the beginning of the new year. “It’s been…interesting,” the dental hygienist finally answered. By her tone of voice I knew not to pursue it, not to ask, “Really? What’s been going on?” I also knew what was coming next. I gave her the same pause that she had given me. There was a lot going on in my life, but it involved other people, not just me. 2013 had rushed in impatiently filled with big decisions and even bigger emotions. But I realized that everything happening in my life wasn’t mine to share. Not just in this dental office, but also on the page. One of the freeing aspects of writing is being able to write anything you want. Carefully disguised in fiction, names can be changed, and events somewhat altered. It feels good to be able to purge yourself of some deep hurt, some great moment of drama, or to just reveal the hilarity at times of being human. But when you write a blog, it’s a whole different kettle of fish. I feel an obligation to be careful about what I write here about the people I love – the ones who are unlucky enough to have a writer living among them. I won’t write something if I feel it violates their sense of propriety or their need to remain private. After all, they’re not celebrities who have given up a portion of their privacy in exchange for notoriety. That’s a bargain that’s struck by anyone who chases fame. 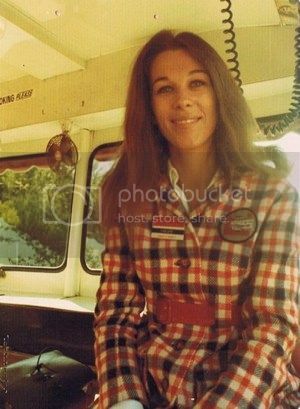 I write about everyday people, and there are some days when I simply won’t write about them at all. I’m sure my friends and family feel much better knowing that. But it sure makes for a quiet blog. The last thing this writer ever thinks about when she’s writing is a press release. Some writers – the new breed of writers, are much more commercial than I’ve ever been. The reason is simple: Every time I sit down and write I’m never sure anything is going to come out. That really doesn’t matter when you’re not getting paid, or you don’t have a deadline, but when your mortgage is depending on it, well, let’s just say I’ve spent my share of sleepless nights. I wish I could tell you that as a professional writer I plan out every little moment, every bit of action, dialogue, or character nuance, but that’s not how it works with me. When the words flow, it’s like some hidden natural spring that I’ve traveled miles to find. There’s no other way of putting it: Writing is just a miracle. I don’t try to understand it. I just sit down at my desk and hope that it happens. When it does happen, and I end up with a finished product, I feel I owe it to the fates (and especially to the story) to sing its praises. If it’s a blog post, I tweet, I Facebook, I LinkedIn, I email, I practically stop people in the street just to announce this beautiful new birth. In the case of a book, the announcement often happens with an official press release. 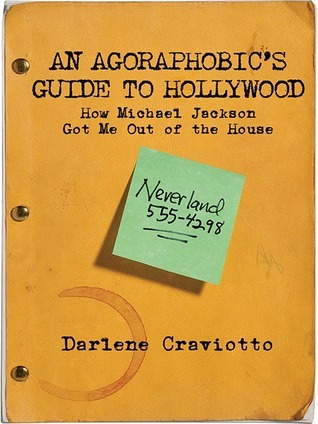 I’m proud to share this press release that came out yesterday for An Agoraphobic’s Guide to Hollywood – How Michael Jackson Got Me Out of the House. Some of you have already read the book, and I thank you for that. If you haven’t, you can take a look up above in the menu under the title of the book where I’ve put the opening pages, the website, and the press release. If you like it, there’s a link to Amazon, Barnes & Noble, or even iTunes where it’s for sale. I don’t much like promoting my own words. But as I said, I don’t think they really belong to me. I’m just pointing out the way to the story.